I know I have struggled for years finding the right tools to use in the kitchen that make prepping and cooking more enjoyable and a lot easier! Cooking has been something my significant other and I have enjoyed since moving in together, over seven years ago. Little did we know he would become a sous chef years later and would become a pro at 'home' cooking. For the past two years, we've included our kids into the mix and it's an activity we can all enjoy as a family, but some nights- we need to just hit and quit it! There are multiple days out of the week where I enjoy gathering the family as we laugh, talk, dance, and prepare our food- but there are a couple of nights where I just want to prepare a meal in under thirty minutes, without the noise, and without the mess. Because we like to make several meals from scratch, it can become very discouraging when you've just come in from a long, active day and have to cook. My mind automatically goes into "Well, what about the onions? Or the bell peppers? They still have to be chopped." Luckily I have a very helpful partner who doesn't mind assisting me. 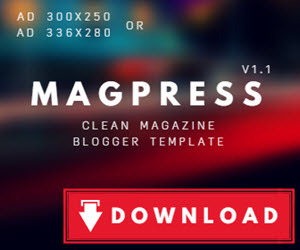 The right tools are always helpful. Having sharp and reliable knives is the key to speedy prep cooking. Just ask my fiance! I was amazed at how durable these steel knives were. They also saved me so much time with prepping our veggies and cutting our freshly baked bread! 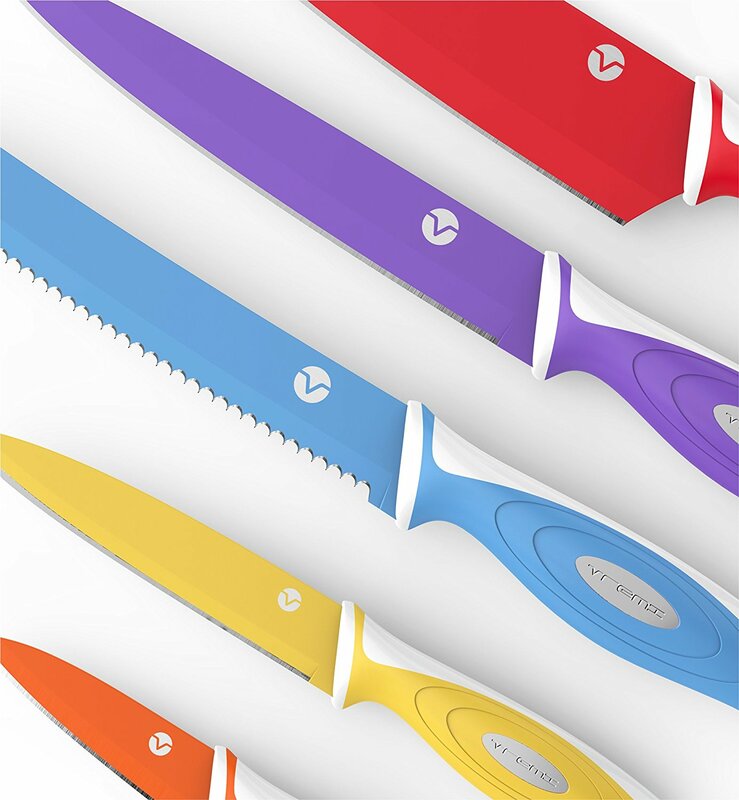 The Vremi Knife Set includes a chef serrated, paring, carving and a utility knife. They are light weight which helps your hands and wrists from being tired when you're preparing larger meals. 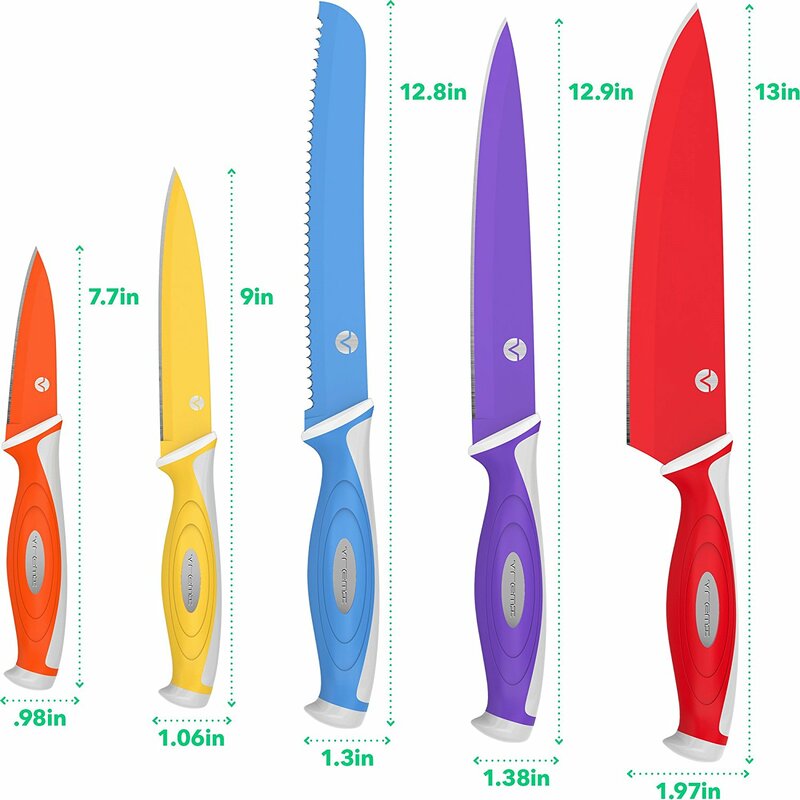 Each knife possesses a heavy duty steel blade and features a nonslip comfort grip. I personally love the vibrant colors and the matching blade guards, which makes storing them in the kitchen drawer easier and safety-proof for the kids. The blades are magnetic, so they can also be stored on a wall mount. 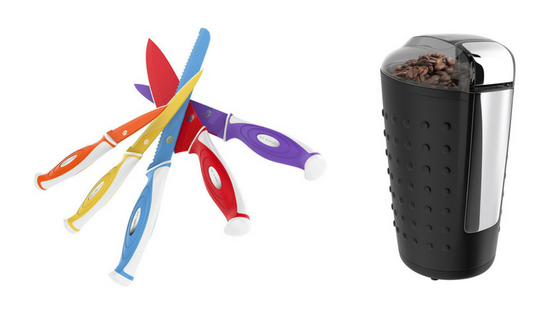 The Vremi Knife set is BPA free and will definitely make any home chef happy! So now, lets talk about coffee! Whether it's the top of the morning, or an evening cappuccino after dinner with my love- a girl's got to have it! 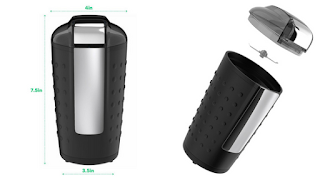 We are huge coffee lovers, so we were so excited to receive the Vremi Coffee grinder. I've recently learned that buying ground coffee depreciates the overall flavor. Although buying your coffee pre-ground is convenient, it also affects the taste and the experience. The Vremi Coffee grinder is electric and easy to use with just the push of a button. It contains a maximum capacity of 100 grams of coffee beans, which can easily get you about eight to ten cups of coffee. 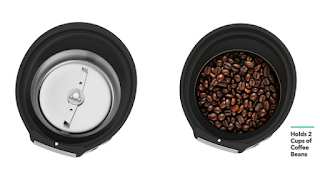 The Vremi grinder also gives you an option as how fine you want your beans ground. It's completely hassle-free and can be used on the go, with a built-in cord storage, for easy packing or storing. And the motor on this thing is amazingly quiet! You can grind your beans early in the morning without disturbing anyone else in less than five minutes. Does this sound too good to be true? Or you an in-home chef, too? 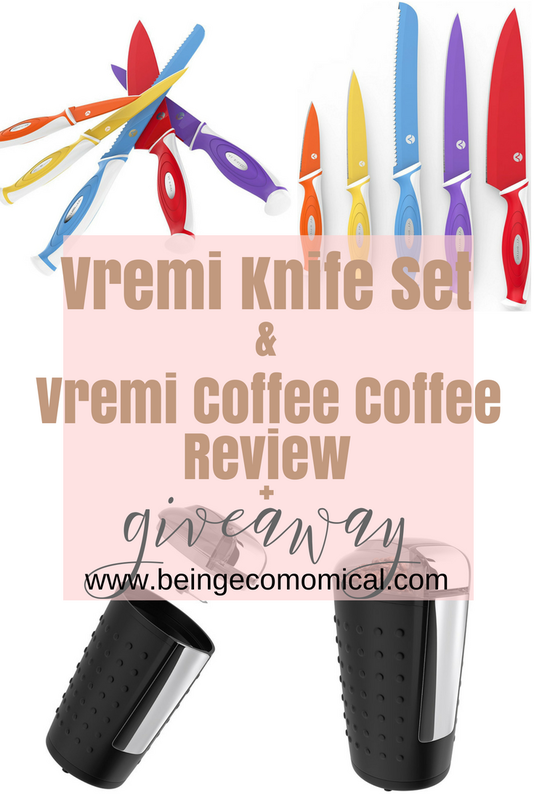 Well today is your lucky day, because I am giving away a 10 Piece Vremi Knife Set and the Black Vremi Coffee Grinder to one special reader. Enter below to WIN!